An ISO image file holds all of the data of a disc into a single package and it’s often used to distribute movies, game and programs online. Therefore, when you download a movie from the internet, it is likely to be a ISO file. Excessive size is a common problem of ISO Image. It can consume more network bandwidth and time if you want to share a large ISO image file with others, not to speak of the storage space consumption. So we always need to compress ISO image files. Of course, there are some tools for this purpose like 7-Zip or WinRAR but they can only reduce the file size slightly. On this basis, this article introduces a useful ISO compression software that can compress video ISO files to smaller file formats. 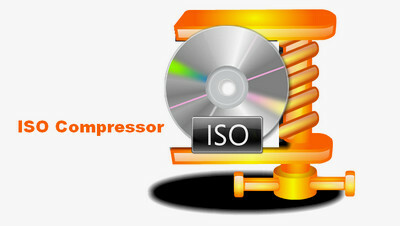 The functional ISO file compressor enables to compress/shrink ISO files into MP4, AVI, WMV, FLV, MKV, MPG and more other smaller file formats. It makes a perfect balance between file size and output quality to help you get a smaller file with high quality preserved. 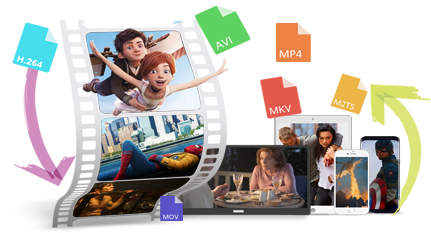 Besides, it can copy any DVD to digital videos in fast and simple way. WonderFox DVD Ripper Pro is a professional and versatile tool that can compress ISO to fit on DVD, copy DVDs to digital videos, make ISO and DVD folder from DVD and edit DVD/ISO/DVD folder. It is capable of dealing with any ISO image and DVD disc. Even if the contents you need to process are copy-protected, DVD Ripper Pro can remove the copy protections and compress or shrink ISO files without any hassle. Follow this guide below to learn about how to compress ISO files to very small size. Open WonderFox DVD Ripper Pro. There are three types of files you can import, including DVD disc, ISO Image and DVD Folder. Click on “ISO Image” button and select the ISO image file from your computer. WonderFox DVD Ripper Pro will quick detect and analyze the ISO image. As ISO image contains all the information and data of a DVD movie, the software will bypass the features, trailers, ads as well as other irrelevance information, and mark the main title only. Click on Output Format button on the right and choose a video format. To compress a ISO image, you can convert ISO to MP4 since MP4 is one of the most universal compressed video formats. Of course, if you like, you can convert ISO to AVI, ISO to MKV, etc. Tips. 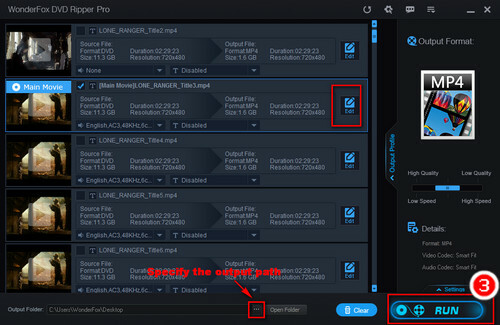 As an experienced user, you can adjust the related parameters to compress the file further. Just click on “Settings” button on the lower right. In the Settings window, you can change resolution and lower bit rate to make the output file much smaller. But please make a balance between the size and quality. Choose an output folder for saving the converted file. Finally click on “Run” to start the conversion. WonderFox DVD Ripper Pro fully supports hardware acceleration for faster conversion. Your ISO image files will be compressed in an instant. Now you can easily play the file on your devices and share it online in no time. WonderFox DVD Ripper Pro is not only a ISO compressor, but an all-purpose tool to convert DVD to digital videos for handy playback on mobile devices and 1:1 quick copy DVD to ISO for making exact copy from a DVD. You can even edit DVD and ISO image at ease. How to Compress Videos for YouTube, Facebook, Email, Etc. 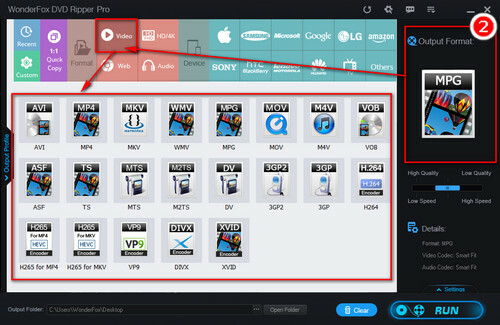 The well-received video converter offers the advanced Compression Setting for you to compress videos to meet the specs of different platforms, which is only a single click away. Moreover, it enables you to convert any video & audio to 300+ formats and devices, download videos from YouTube, Facebook, Dailymotion, etc. Compress Video for Email to Smaller Size without Quality Loss Pop GoPro Compression Software to Compress GoPro Video Quickly and Easily MOV Compressor - How to Compress MOV File with High Output Quality?